Beginnings are always tricky. The first line in an article or a programming code is a trigger to launch the subsequent flow of ideas and symbols. However, the result does not always correspond to the target goal. But, this isn’t necessarily a failure. Node.js does not have a steep learning curve. The option to use the same language both on server and client sides can bring significant benefits. Development speed is highly accelerated due to the technology’s lightness, as well as numerous useful open-source JS tools. Moreover, their number increases on a weekly basis thanks to the supportive community. We can’t forget scalability, which is probably the major advantage of the programming language. Engineers appreciate the ability to add new modules to the app logic instead of agonizing over the integration of new components into a monolithic structure. It is difficult to find a technology, which would suit microservices architecture better than Node.js. Reduced response time is a huge advantage in modern conditions. The technology does not create more threads when handling an increased number of concurrent requests. As a result, fewer resources are engaged and the response time is reduced. The ability to execute Node.js apps on almost all known platforms including three giants (OS X, Windows, and Linux), as well as FreeBSD, NonStop etc. This list could be much longer. But let’s move on to our main task and introduce best web hostings for Node.js. Judging by the technology’s wide deployment, startups as well as established businesses highly evaluate options Node.js provides and engage the language in secure applications. On that account, hosting environments must correspond to a high level of security, as well as accessibility to the app. Our team has researched the market and selected the best Node.js hosting services based on different financial and structural preferences. Initially, we had the idea to separate the options into free and paid. However, it proved more useful to organize the list by technical capacity. So, let’s begin our journey with solutions designed for demanding and experienced developers who need balance between high-performance hardware and excellent platform support. All you need to know about AWS is the abundance of products to implement your project. Here you can find solutions for computing, analytics, networking, machine learning, media services, etc. For purposes of this post, we will settle on several tools for Node.js hosting. Elastic Beanstalk service is designed to automate deployment and configuration of components to run your app. At the same time, you retain full control over the server. Moreover, developers are welcome to run additional applications without additional charges. Put in short, users obtain the so-called PaaS (platform as a service) for their packaged apps. If SaaS is what you need, pay attention to EC2. This service represents a robust solution for cloud computing. The Lightsail and Lambda services are also worth a particular remark. The first one is a great springboard to begin your journey in the AWS world. Tools for networking, storing, and computing your project are available in a package. Server management is easy as pie, launching VPS takes a few clicks only, not to speak of multiregional support and reasonable pricing (starting with $5 for 512MB, 20GB SSD). AWS Lambda is made to release you from server management care. Besides, if combined with API Gateway, the service allows building serverless mobile backends. 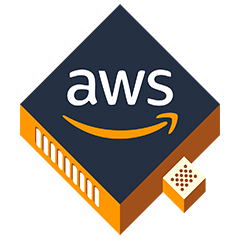 Other capabilities include the real-time stream and data processing, as well as building powerful web apps if used with other Amazon services. Lambda offers a FaaS development paradigm. According to user reviews, AWS is able to compete for the title of the best Node.js web hosting. It is a flexible easy-to-learn service with decent security features, not to mention a set of automated functions. In general, Elastic Beanstalk is a good start. But the sheer variety of other AWS services out there can be confusing. Ruby on Rails was the only supported language at the time of Heroku’s founding in 2007. Since then, the service has embraced Java, Python, Perl, and, naturally, Node. By the way, Heroku can boast a seamless integration with third-party services including MongoDB, Redis, SendGrid, and others. 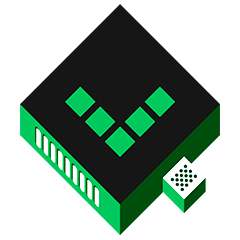 The service could fall into the category of the best free Node.js hosting since it offers a no-charge tier. However, this solution is suitable for those who would like to experiment with cloud apps that have a limited set of features. If your aim is to get superior performance and run high-traffic apps, the professional tier priced $25 to $500 per dyno (smart container to run apps)/month should be your choice. 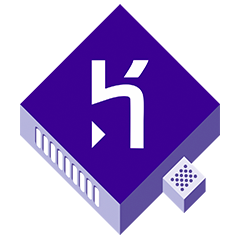 Heroku offers a vast set of elements to improve the functionality of apps. These include Add-ons (cloud services for versatile functional features like monitoring, logging, caching, persistence etc. ), Buildpacks (sets of scripts to compile applications on the platform), and much more. Everything is optimized for your convenience. So, forget about the manual approach to installing optional services. Meet GCP — our third contender for the best hosting for Node.js. Initially, you should know that this service runs the same infrastructure used by such globally known names as YouTube and Google Search. So what? What can Google offer to beat the simplicity of Heroku and popularity of AWS? Some unique GCP tools are worth your attention. App Engine is a PaaS to host apps and automate most of the management. The platform offers automatic scaling for web apps. For today, several programming languages are supported – Ruby, Python, PHP, Go and Java including some JVM languages. The native support for Node.js is also included. Writing scalable apps is easier with GAE due to developed infrastructure. At the same time, the number of apps to run is limited. Many issues related to development and system administration are eliminated which enables the scaling improvement. Actually, the platform offers a long list of services, which developers can sort out or combine to provide the required infrastructure for an app. Pricing varies for specific tools and services. However, developers might appreciate the convenient billing system. Users pay for compute time only considering a 10-minute minimum charge. Discounts for long-running workloads and absence of up-front commitment is also an appeal. GAE is a great solution for those who need a simple yet powerful service to host an application. Some users consider it a fantastic platform and the best Node.js hosting for any type of business. 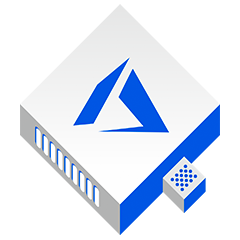 Microsoft decided to be in step with the trend and created a computing service called Azure to facilitate app deployment and management. The platform offers PaaS, SaaS, and IaaS solutions, as well as multiple programming language support. Initially, the service was an also-ran. However, the situation has changed pivotally, and now AWS and GCP can feel Azure breathing down their necks. The advantages of the Microsoft product include Windows and Linux compatibility, possibility to migrate apps with no code change. When you host several Node.js apps on Azure, you are able to monitor them in real-time. By the way, you will face no troubles with scaling Node.js and other apps up or down. Automatic scalability is also available. And the real kicker is that the Microsoft hosting platform offers a free option. Naturally, the no charge account is limited to 12 months and up to $200 credit to explore the service. At the same time, you get 5GB storage, 15 GB bandwidth, 750 hours of Linux/Windows virtual machines and many other useful features. Such solution is enough to delve into the essence of the product and make a decision whether it matches your requirements. If it does, you can visit the pricing calculator on the website and configure your set of tools and services on a paid basis. Azure is a perfect option for developed businesses to develop and manage mobile and web app due to its massive set of functions and tools. The free plan makes the platform more attractive to customers since they can check it out before investing their budgets. I do not want to be biased but one user has characterized the service named DigitalOcean as a nightmare. Nevertheless, it would be foolish to rely on the opinion of one random internet reviewer, wouldn’t it? So, what do we know about this cloud hosting service? At first, it should be noted that small businesses and bloggers are not the target clientage of the service. It is geared towards experienced engineers. 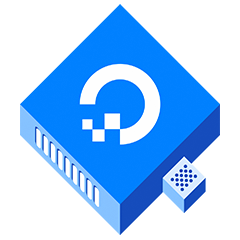 DigitalOcean attracts with the usability, as well as a variety of services such as droplets, block storage, networking, monitoring, teams etc. Moreover, it is simple to not only set up but also manage the server. However, you will need SSH knowledge for server configuration. For inexperienced users, it is recommended to opt for a third party server management app. 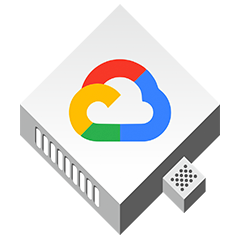 You are able to enhance your cloud server infrastructure with the following features: floating IP addresses, shared private networking, team accounts, SSD hard drives etc. If the above-mentioned services offer rather complex pricing solutions, DO chooses another way providing clear and simple information about the budget you need. E.g., the cheapest standard virtual machine with add-ons (aka droplets) costs $5 per month. For that amount, you get 1GB, 1 vCPU, and a 25GB Solid State Drive disk. We were right in ignoring the user who said that DigitalOcean was a nightmare. In fact, DO is one of the most reliable and trusted services to host your app. Speed and reliability are the major benefits appraised by users. Back in 2003, when this service was launched, it was a leader in the cloud hosting market. Today, Linode is definitely considered an answer to the question “Which is the best hosting for Node.js app?” It can boast more than 400k customers in over 130 countries worldwide from 8 data centers. In fact, we need three words to describe the company: reliability, simplicity, and power. It takes a few seconds to launch a server after activating the account. Such tools as an advanced API platform, DNS management, and scaling facilities are at your disposal. A variety of add-ons including Block Storage, NodeBalancers, LongView and others are aimed at the perfection of your cooperation and optimization of customer’s satisfaction. To get started, three actions are required: pick a plan, a Linux distro, and a location. Pricing plans are designed to meet demands of multiple types of customers. The bottom offer provides 1 GB RAM, 20 GB SSD, and 1k Mbps network out for $5 per month, while the top plan covers 200GB RAM, 340 GB SSD, and 10k Mbps network out for $960 per month. It is a challenge to find a negative review about Linode. It has almost all features necessary to be named the best in the market. However, the lack of customization options may be a reason to opt for one of its competitors. We’re now on the sixth platform on our list, because there is no one-size-fits-all solution for Node.js applications. Next, let’s look at Rackspace — a managed cloud service provider with the more than 20 years experience. It is one of the most reputable services in the market as evidenced by numerous accolades and awards. The first thing to mention about Rackspace is the infrastructure, which you can tailor according to your needs. 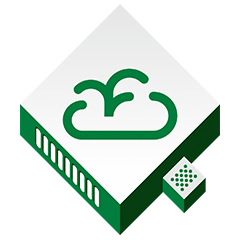 Three types of cloud computing (Public Cloud, Private Cloud, and Dedicated Servers) are available. Each type provides a set of options to meet every customer’s exact requirements. In fact, everything in the company is aimed at client stress relief. At the same time, the most interesting thing about Rackspace is the option to manage customer’s AWS, Google Cloud, Microsoft Azure and other platforms. It cooperates with competitors and benefits from such cooperation. 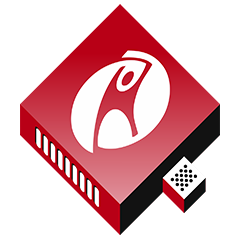 To understand the budget you need for Rackspace, it is better to use the special calculator available on their website. Otherwise, you are likely to get tangled up in the pricing of cloud services and additional options. It should be noted that the company implements a rate-per-hour basis. In general, customers are satisfied with this hosting service. Still, confusing pricing models and lack of customization are considered the main disadvantages of Rackspace. Those users who want to spare themselves such necessary but mind numbing actions as setting up servers and databases, configuring and updating firewalls will definitely appreciate AppFog. This PaaS is designed to eliminate all your infrastructure worries and let you focus on building cloud-based apps. The most popular runtimes, frameworks, automatic load balancing, app scalability and other features are at your disposal. Hosting your app in the cloud is easy as pie due to a super-intuitive UI, powerful command line, and REST API. Besides, it takes several seconds to deploy apps on AppFog. It supports not only Node.js but also such popular runtimes as Java, Go, Ruby, Python, and PHP. By the way, you can also migrate your Cloud Foundry compatible apps. Though AppFog is not on the list of free Node.js hosting services, it offers a 90-day free trial option. Besides, a trial credit of $500 of self-service products and services is granted. Those who are ready to open their wallets can visit the cloud price estimator and calculate own costs. It was rather difficult to find even one flaw with AppFog. Users characterize the service as a high performing, secure, reliable, and scalable solution to deploy websites and apps. Moreover, a free trial can be rather a useful option to get acquainted with the platform without significant investment. 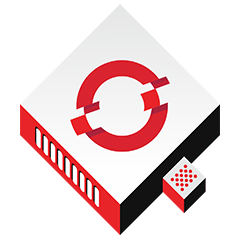 Seven years ago, Red Hat introduced a cloud-based hosting for software deployment and management. At once, OpenShift has enjoyed popularity amongst beginner developers by offering free services and the PaaS option. Today, the platform has evolved in multiple aspects. The supported language range has increased (JS, Java, .Net, Haskell, Node.js, Python, Perl etc.). The rusty “cartridge” concepts have been replaced with Kubernetes platform, which counts on using containers. Source-To-Image (S2I) toolkit implements the OpenShift’s PaaS aspect by creating reproducible Docker images from source code. That API enables to build their own languages support as cartridges did but with standard containers. “Git push” for app deployment is also a great feature. In general, all features are aimed at the improvement of your app rather than fussing about hosting issues. As for pricing, two plans are available. The Starter plan is marketed as a solution for experimenting and individual learning. It is free and packed with 1GiB memory and 1GiB storage without additional tools. Only one project is available. The Pro Plan is a more sophisticated option to satisfy top-level project needs. The price starts with $50 per month (2GiB memory, 2GiB storage, a set of tools, and a 10 project support) and can increase by adding memory and tools. OpenShift is a decent solution for developers to host and scale apps on the cloud. Users get a wide range of features and freedom from worries associated with infrastructure building. You can try the free option and make a decision whether Pro Basic or Premium Support is worth your budget. What to look for when choosing a good hosting? Now you have a lot of options to choose from. Some of them require a huge budget while others are good with your spare change It is a joke, of course. 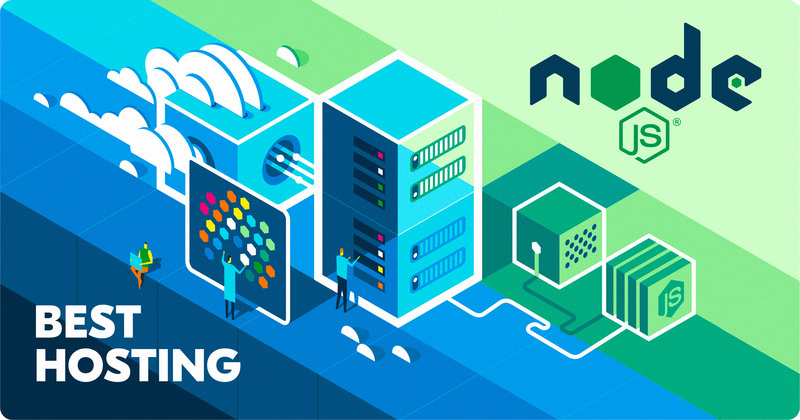 Nevertheless, we forgot to mention one important thing – requirements for Node.js hosting. Luckily for us, Node is not very demanding. High RAM or CPU power values per instance are not essential for the framework itself. However, questions like “what sort of data processing to expect”, “size of data sets”, “which database to deploy”, “number of concurrent processes to expect”, and others are the key decision criteria. How to choose best hosting for you? In a nutshell, begin with the choice of hosting type (shared, VPS or dedicated server) based on the app. After that, you will have an understanding of resources you need. As a rule, hosting companies offer ready packages of resources such as RAM, data storage volume, bandwidth, uptime rates etc. Be sure to think ahead. Consider how you might want to expand your requirements in the future. Your hosting service should be able to implement them. The following tips will be of use for you when making the choice. Storage and bandwidth are bullet metrics to ground your hosting provider search. The larger traffic you expect, the larger requirements should be set. Low-end shared servers may be good enough at the initial stage but your investments will grow along with the rise of your demands. As a rule, three server types should be considered starting with shared hosting, which is the cheapest option with limited capabilities. A virtual private server comes next offering a simulated computer running on one box. VPS is preferable over the shared server but requires a deeper learning curve and higher investments. A dedicated server is an option for those who need an exclusive physical box. Mind that the system management knowledge is required to cope with all tasks. Those who prefer to assign much of the routine work to professionals and focus on a creative part of the app building process would choose a cloud server. This option was described through the examples of AWS, Azure, and other above-mentioned services. It attracts with the possibility to get a certain server configuration without a deep involvement. As a rule, hosting service providers can fulfill your requirements by themselves. But, be prepared to turn your pockets out. It is quite possible that the chosen hosting plan could be outdated in a short period of time. With that in mind, you should consider technology shifts and other changes to have a flexible website not locked to one host.